The beauty of a diamond comes from its brilliance, fire and the amount of light that is returned to the viewer’s eye. It is the proportions of the Cut that unleashes an extraordinary shower of light from the rough stone into a finished diamond. In a side by side comparison, a less expensive diamond of Excellent Cut grade will far outshine a diamond of higher Color and Clarity with a Poor, Good or Fair Cut grade. The diagram below shows how light leaks out of inferior Cut grades. At YourDiamondRings.com, we recommend your minimum threshold for buying diamonds to be either Excellent or Ideal Cut grades. While Color and Clarity are the major factors in determining the cost of a diamond, it is the Cut that breathes life, brilliance and sparkling fire into a diamond. Here’s a fun fact: only 5% of all diamonds sold are Excellent or Ideal Cut. Most diamonds sold at retail stores are Poor, Fair or Good Cut grades and they will appear milky and lifeless compared a diamond of with Excellent or Ideal Cut. If you know the proportions of a round brilliant diamond, you can calculate the return of light, or the visual performance of any diamond. 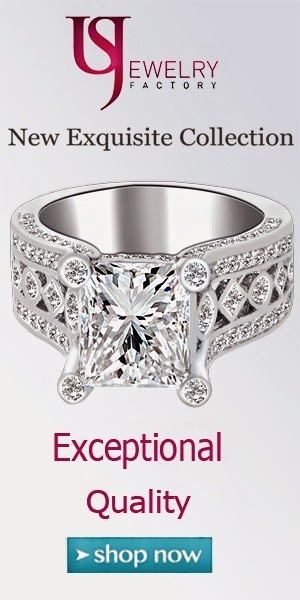 We use EGL-USA for our diamond evaluation report because they include all of the necessary cut angles to evaluate Brilliance, Fire and Scintillation of a diamond before you buy it. The most widely accepted tolerances for an Ideal or Excellent Cut diamond is the AGS-0 rating shown in the table above. Of all the numbers, the pavilion percentage is most important. For the greatest return of light, it should be at or near 43.1%. Why are so few diamonds cut to Excellent or Ideal proportions? Since diamonds are priced by carat weight, more and more retailers are demanding that rough be cut for maximum yield. About 70% of all diamonds on the market today are considered in the trade as “swindled cuts”. As shown below, a one carat rough stone can yield a finished diamond of Excellent proportions that is about one-half carat. In contrast, the same one carat rough stone can also yield a finished diamond of Poor proportions that is about three-quarter carat. Because the table is way too broad (between 63% to 70%) this swindled cut diamond will appear milky and lifeless in comparison to the Excellent Cut, but fetch a higher retail price based on it’s larger carat weight. By selling this heavier but inferior diamond, the retailer gets a higher margin for his investment and the cutter gains margin on rough yield. Sadly, it is the consumer who unwittingly pays a higher price for a diamond of inferior cut proportions which result in a less beautiful diamond. Many sightholders (rough stones dealers) are no angels either. They are the main source of this issue because of they supply the overwhelming demand for diamonds of maximum yield in the market at the lowest price i,e, swindled Cuts. With today’s sophisticated computer ray tracing technology, there is never an excuse to cut a rough that yields less than Excellent or Ideal Cut diamonds. Our website represents one of the few remaining sightholders that cuts exclusively for diamond quality and return of light.